Creating the right atmosphere in any room requires a thoughtful mix of clever spatial planning, complementary textures and, above all, good lighting. Directly affecting the mood, functionality and perceived size of a space, interior lighting can either make or break a room. 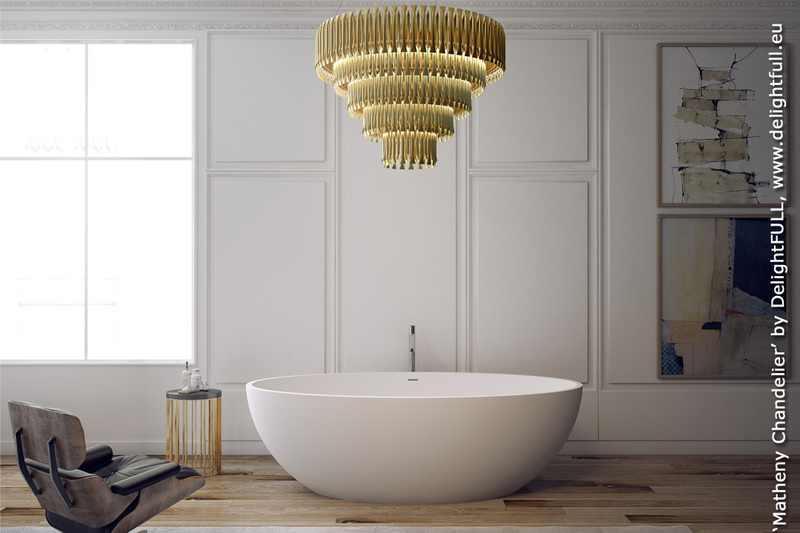 Bathrooms double as a highly utilitarian space and a place of relaxation and respite, so it’s especially important to think carefully about your lighting configuration here. You need to illuminate the space as evenly as possible while trying to emulate natural light, which provides the truest visual representation of your face, hair, clothes and makeup. 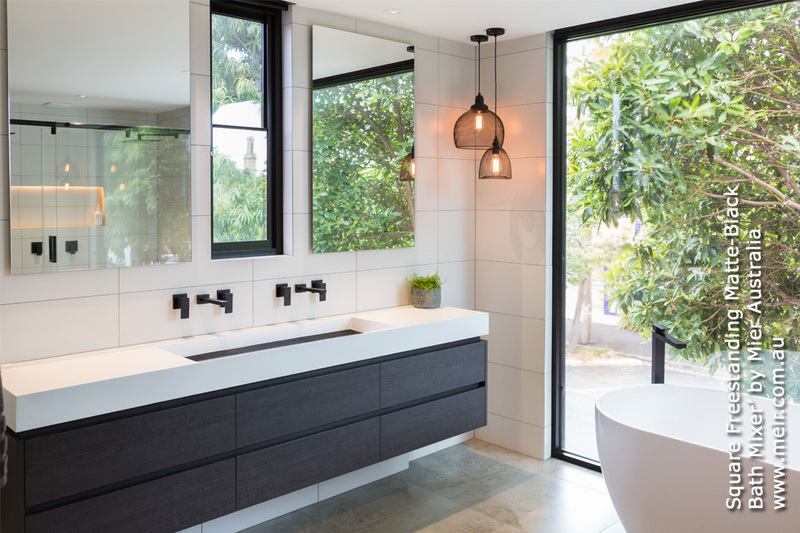 To help you pick the right lighting for your bathroom, Western Australia Kitchen + Bathroom Design has identified some of the most useful and trendy options available. mirror, as this will eliminate shadows and deliver a true reflection. A pair of sconces will provide shadow-free light that’s perfectly suited for detailed grooming. Mount them in alignment with your face to ensure complete illumination. Finally, consider fitting your task lighting with dimmers, as this will allow your eyes to comfortably adjust to the light first thing in the morning and wind down at night. lighting, which will cultivate a brighter, safer and friendlier mood. Once again, recessed downlights are a pertinent choice, as their flush design won’t compete with the streamlined style of the shower stall. For an inspired twist, consider fitting your shower with a colourful LED-lit showerhead. Available in a wide range of vibrant shades, these fun inventions will make you feel like you’re bathing beneath a rainbow! LED lights can be integrated into just about any model of showerhead, which makes them a quick and easy way to brighten up your bathroom. Just remember that electrical lighting gets a little complicated in wet areas like showers. It’s critical that you consult a lighting specialist to ensure you choose lights that have been designed to withstand exposure to water. home in the bathroom as well! Pendant lights make great accent pieces and will add warmth to a room while fostering a contemporary and sophisticated atmosphere. Additionally, due to the direct light they emit, pendant lights will grant your bathroom’s surfaces a lovely glossy sheen. Pendants are ideally positioned above zones where there’s a general focus on a certain activity. For example, a traditional-style chandelier or a Moravian star will make a striking visual statement when hung above your bathtub. Whatever aesthetic you opt for, a carefully selected and positioned pendant light is an exciting way to illuminate an otherwise utilitarian space. Most pendant lights can be converted to 12V for installation over water. However, with Australian safety regulations in mind, it’s important to speak with your electrician prior to purchasing a pendant light that you intend to install above your bath. 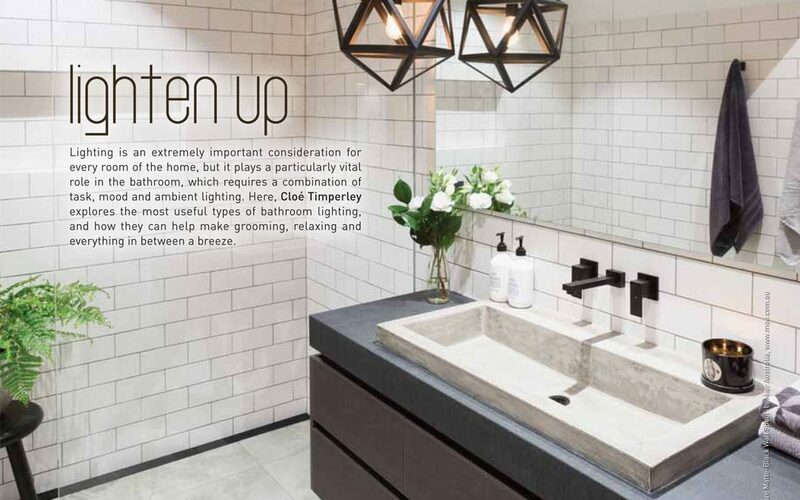 As always, the trendiest bathrooms feature a versatile lighting configuration that can create a bright and cheery atmosphere during the day and a soothing ambience at night. Updating your lighting fixtures is a quick and relatively simple way to improve the look of your bathroom without having to undertake a complete renovation project. 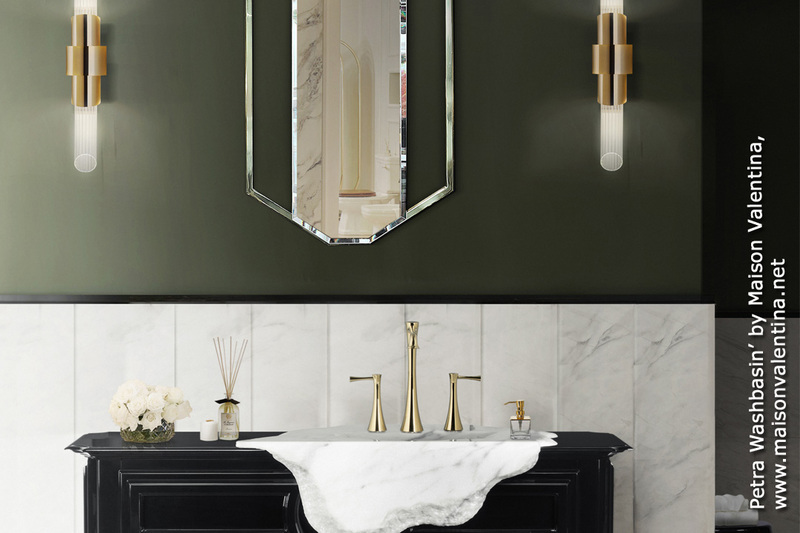 While natural materials such as stone and marble continue to be a popular choice for lighting fixtures, metals are irrefutably the standout finishes of 2018. 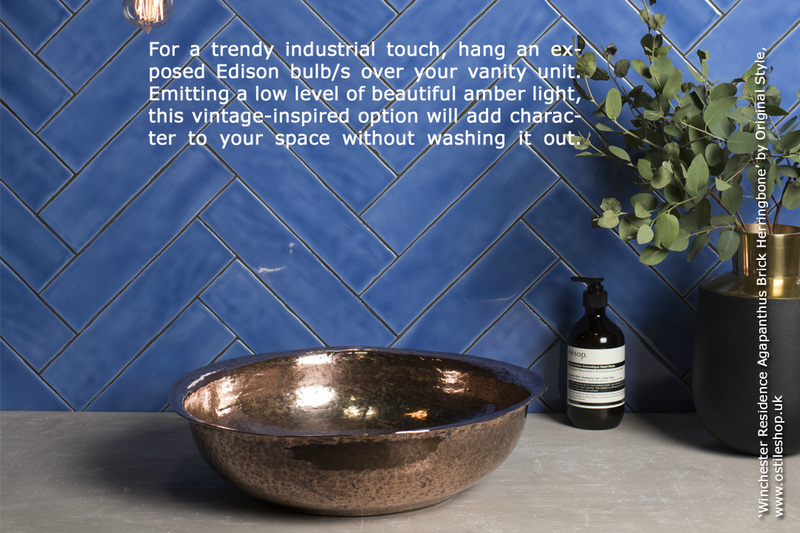 Brass, brushed nickel and oil-rubbed bronze combine the very best of old-world charm with modern elegance, and will instantly jazz up your bathroom’s aesthetic. Decorative lighting is another stylish craze that shows no sign of abating. Bubble chandeliers or Moroccan lanterns will inject a major dose of personality to your bathroom, while Art Deco designs are particularly good at imbuing spaces with strong geometric character. Offering more than just illumination, statement fixtures act as centrepieces and add visual interest to a room. Given the frequency with which we use our bathrooms, choosing the correct lighting is vital for a pleasurable and convenient experience. A single fixture located in the middle of the ceiling simply won’t do you or your bathroom any justice, so it’s well worth considering a layered configuration of task, mood and ambient lighting to create a space that’s both visually stunning and highly functional. 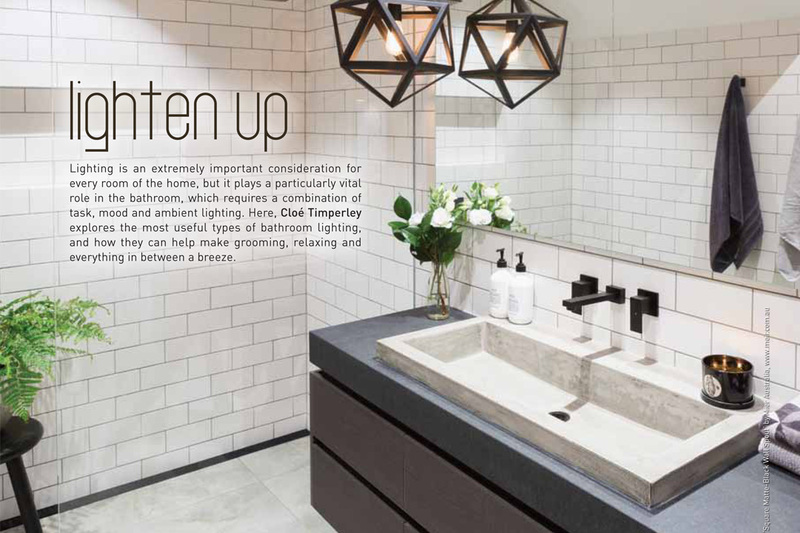 Once you’ve had your light-bulb moment and created the perfect arrangement, there’ll be nothing left to do but flick the switch and bask in the radiance of your beautifully lit bathroom.